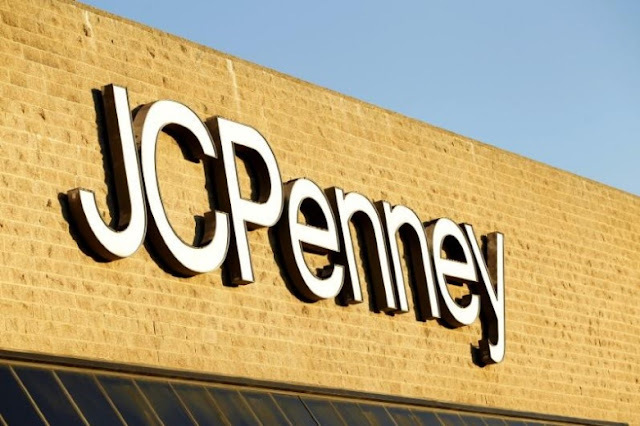 FILE PHOTO: The sign at the entrance of a J.C. Penney store is pictured in Arcadia, California March 1, 2013. J.C. Penney Co Inc’s shares plunged 24 percent on Friday after the U.S. department store chain slashed its 2017 profit and comparable sales forecasts as it sold stagnant inventory at heavy discounts ahead of a holiday-season refresh. Penney, like Macy’s Inc and Kohl’s Corp, has been struggling with declining demand for apparel, the mainstay of department stores, due to tough competition from off-price retailers as well as Amazon.com Inc.
Penney’s response has been to lower its dependence on apparel by expanding in other categories such as appliances and toys. The latest round of heavy discounting was across Penney’s apparel lines, with the women’s section singled out for an overhaul to expand its inventory of casual and contemporary merchandise. “We took the necessary steps to accelerate inventory liquidation primarily across all apparel divisions, which increases available funding to invest in new and trending merchandise categories,” Chief Executive Marvin Ellison said in a statement. Penney’s shares tumbled 24 percent to $2.77 in premarket trading. Macy’s dropped 5.5 percent and Kohl’s nearly 3 percent. Department stores try to clear out leftover inventory ahead of the holiday-shopping quarter to stock up on fresh merchandise for the biggest selling season of the year. Penney estimated it would post an adjusted loss of 40-45 cents per share in the quarter ending Oct. 28, much bigger than analysts average estimate of 18 cents, according to Thomson Reuters I/B/E/S. The company also said it now expects full-year comparable sales to be flat at best, while it had earlier forecast that sales could increase as much as 1 percent. J.C. Penney also slashed its full-year adjusted earnings forecast to 2-8 cents per share, from 40-65 cents. Penney also said Chief Financial Officer Jeffrey Davis would oversee the company’s pricing and planning policies to improve its predictive analytics capabilities and get a better view of current sales trends. J.C. Penney Co Inc’s shares plunged 24 percent on Friday after the U.S. department store chain slashed its 2017 profit and comparable sales forecasts as it sold stagnant inventory at heavy discounts ahead of a holiday-season refresh. Penney, like Macy’s Inc and Kohl’s Corp, has been struggling with declining demand for apparel, the mainstay of department stores, due to tough competition from off-price retailers as well as Amazon.com Inc.